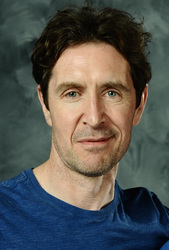 Paul McGann is an English actor. He came to prominence for portraying Percy Toplis in the 1986 television serial The Monocled Mutineer. He later starred in the 1987 dark comedy Withnail and I, and as the eighth incarnation of the Doctor in the 1996 Doctor Who television film, a role he reprised in more than 70 audio dramas and the 2013 mini-episode "The Night of the Doctor". McGann is also known for playing Lieutenant William Bush, Horatio Hornblower's best friend, in the television adaptation based on C.S. Forrester's books.